Depression – don’t make me laugh! A beautiful still night a few months ago, picture-perfect, with an almost full-moon wreathed round in a tracery of white cloud. On the balmy air, the scent of night-scented stocks. In the distance the seductive lapping of sea kissing beach. And did I stop to admire the sky, inhale the scents, dream to the rhythm of the waves? Like hell I did. My prevailing thought at the time, the one that finally brought me to the realisation that something was wrong – not just wrong, but really wrong – was ‘I wonder what it would be like simply to walk into the sea, to just keep on walking, to feel the waves closing over my head and then . . . the blessed relief of nothing’. That’s what I longed for. Nothingness. Not to feel. Not to exist. Erasure, from everything and everyone. Oh yes, I was more than prepared to thrust off the mortal coil, and not just go gentle into the good night but to go galloping head first. Depression! The realisation hit me like a ton of bricks. I wasn’t just a bit down, out of sorts, having a bad day or the hundred and one other trivial things I had tried to persuade myself I was suffering from, to one degree or another. I was depressed. Dangerously so. Enough to seriously consider ending it all. The black canine had me by the throat and he wasn’t letting go. Looking back, it’s easy to see the signs but, as they say, when you’re in the moment, it’s hard to see the wood for the trees. Besides, I was too damn tired. Lethargy was my constant companion. With a publishing deadline looming, this is not a companion you would actively seek out and many and oft were the days I found myself sitting in front of a blank computer screen willing the bloody book to complete itself. And crying. Boy, did I cry a river. A veritable cauldron of emotion, I went to pieces over anything and everything, from the sublime to the ridiculous. I once found myself welling up over a schmaltzy advert for baby something or other, the kind of contrived tripe I would normally roll my eyes over whilst sticking two fingers down my neck. Wine! Wine, Lethargy and me spent several cosy evenings together. Me, the girl a boyfriend happily once described as a very cheap date, owing to my abstemious penchant for soda water and lime. Did I become an alcoholic – no, but I can see how it can happen, the insidious way one glass can lead to two and from thence to a whole bottle. Yet, on the outside, I was switched to automatic and managed to keep up a good pretence at normality. Nobody knew, nobody suspected that I was wearing a shell, a walking, talking occasionally even joking shell. Inside, out of sight, I was all shrivelled up, hopeless, guilty, joyless – a complete mess. With the wonderful hindsight that is of 20/20 vision, I can pretty much identify the main triggers for my depression and despair – the death of my mother in January, an altercation with a family member that shook me to my core, ongoing problems with an adult son, who is more child than adult. Oddly enough, almost as soon as I acknowledged/realised the extent of my depression, it began to lift. 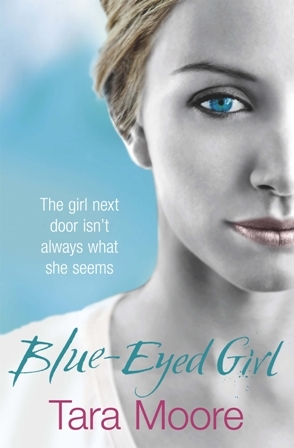 Words flowed onto the screen once more and I completed my book (Blue-Eyed Girl, for your information). Energy flooded back. I sought out friends again and socialised. I actually answered the telephone with enthusiasm. One day, I found myself singing, as I washed the dishes, a sound no one had heard for many months and, I confess, no one had missed. Now, why the depression should so miraculously have lifted I have no idea. But, this I will say, hand-on-heart, had it carried on, I would have had no compunction about seeking medical help. Today, I feel good again. The sun is zipping round the sky in his golden chariot. The sea is moving back and forth, which is what seas are paid to do. This time, though, I’m happy to stand on the beach and admire it curling and unfurling from a distance. But wait! Is that a black dog I see before me? Yes, but this one is chasing a ball. Run, Spot. Run!